Grocery trips have declined 29% since 2006, according to the Food Marketing Institute. While there are many big factors that may be causing this decline such as Amazon or a decline in cooking, one of the large factors that is not yet well understood is how the meat case will evolve. This is particularly true as plant-based meats grow and disproportionately impact ground beef. Nearly 3 billion pounds of ground beef are sold each year as it is extremely versatile for consumers who can use it to make burgers, spaghetti, chili and tacos. This is helpful to consumers, many of whom don’t know what they are going to make each week for dinner. By contrast, the next most versatile cut of meat, rotisserie chicken, sold just over 1 billion pounds. The versatility of ground beef is its single greatest consumer benefit. But the reason why it is versatile is because it is a supporting actor versus the star of the show. Ground beef adds texture, but blends into whatever flavoring, seasoning or sauce you put on it. Few people just eat plain ground beef on its own. Recently, Bloomberg reported that meat per capita was at its highest level since 2004. Looking deeper, there are several problems with this claim. First, this number is how much meat was produced, not what was consumed. The number is inflated by exports, which rose from 2% of beef in 2004 to 10% in 2015. Factoring out exports, meat per capita is actually lower than 2004, so the core premise is incorrect. But the real issue is that beef per capita has declined from 90 pounds to the mid-fifties. All the growth in meat is being driven by chicken, which has risen for four decades from about 50 pounds per capita to over 90. One might imagine it's hard to replicate a steakhouse-quality filet mignon — but how about a burger? How about meatballs? Both are beef items that many consumers eat loaded up with sauces, condiments and toppings. Plant-based innovators have gotten really close on texture and moisture to ground beef. Ironically its greatest strength — versatility as a supporting actor —coupled with a lack of strong consumer brands in ground beef (unlike poultry) makes it ripe for disruption by new brands of plant-based meats that can provide texture and also blend in, but with a much more powerful consumer narrative of animal and eco-friendly production. The combination of a lack of consumer brands in beef and the power of purpose-driven and technology-enabled brands like Beyond Meat and Impossible Meat is the real cause for concern. Traditionally, ground beef is just a private label brand. Real brands create pricing power. Pricing power allows packaging innovation to solve for the ick factor in ground beef. Pricing power enables an e-commerce or subscription-based business model that bypasses the trip to the store. The last two major dominos preventing the onslaught of online grocery shopping are meat and produce. A subscription of meat may just make produce solvable as well. Then grocery retailers will have a lot to worry about. 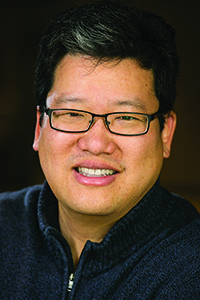 Eddie Yoon is the founder of EDDIEWOULDGROW LLC, a think tank and advisory firm on growth. Prior to this he was a partner at The Cambridge Group, a strategy consulting firm that helps Fortune 500 CEOs drive growth by unlocking consumer demand. He is the author of the acclaimed book, "Superconsumers: A Simple, Speedy, and Sustainable Path to Superior Growth," published by Harvard Business School Press.